Typical sprite of fairies from Mountain of Faith onwards. A fairy (妖精, yousei) is a small, simple, humanoid creature of magic that represents some aspect of nature. Many of them are also simple-minded. They tend to have short lives, but they will regenerate immediately after dying. In the games themselves, the fairies are by far the most common general stage enemy in the Touhou Project. The way they shoot danmaku all depends on what difficulty the player chooses and what stage they appear in. They can come in different kinds of colored dresses and hair, and can appear bigger than usual at times, such as the Sunflower Fairy. A fairy may have abilities relating to the four seasons, weather, emotions, longevity, decay, fertility, or other aspects of nature. The power exercised by a single fairy is usually harmless and small scale, so they're more suited to playing around rather than causing major happenings. Fortunately, most fairies are easily amused by pulling pranks on unsuspecting humans. However, since fairies tend to gather in areas frequented by humans and youkai, a large group of fairies may indicate the presence of a powerful youkai. In the case for Cirno's game sprites and for the fairies who showed up in Touhou Sangetsusei, there were many who took the form of humanoid children with wings, usually mayfly- or butterfly-like, though more unusual cases exist (such as Cirno's triple icicle wings). It is thus common to perceive all fairies to look that way. However, as an exception, the Fairy Maids from the Scarlet Devil Mansion looked more like adults. Therefore, it does not seem like all fairies look like young girls. For those who showed up in Touhou Sangetsusei, in terms of design, they actually looked more like little girls than young girls. This is due to the design of Makoto Hirasaka. Their wings might not be solid; in most depictions, they appear to float over the fairy's clothes, unconnected to their body, and some fairies have shown the ability to hide them. Fairies spring forth from nature, and as long as that nature is preserved, they're indestructible. On the other hand, if that nature is lost, the fairies who spring forth from that disappear forever. Among the powers of Gensokyo, they exist in considerable numbers, and guessing from sayings in the manga, they are fewer than spirits, but are probably around the same number as phantoms and far greater than the number of humans. As this is merely numbers, it is not related to their strength. It's not clear what kinds of fairies spring forth from what kinds of nature, but taking Lily White as an example who is the "fairy of spring", it can be conceived that the nature is the season of spring. Other than in spring, it is a mystery what Lily does and where she is. Some logical possibilities include the idea that she would sleep due to losing energy or due to being ill-suited to the conditions that she disappears due to coming forth only when the condition is met, or that she turns into another kind of fairy. However, in Silent Sinner in Blue, since she made an appearance at the party at the Scarlet Devil Mansion, which opened in winter, the possibility that she disappears or becomes debilitated outside of spring is quite low. To Cirno, the Three Fairies of Light said, "for your season, when spring arrives, you would then become out of season," and so Cirno provoked that winter ought to fight, thus indicating a high possibility that when the nature from which the fairy sprung forth becomes weak, the fairy would become weaker accordingly, and that the fairies are aware of this themselves. However, when it is not winter, since Cirno does not seem to become extremely weakened, this might just be a mistake due to the Three Fairies of Light. In the first place, since it has not been seen that Cirno becomes stimulated upon the arrival of winter the same way as for Lily White of spring, and since it seems like she does not really like winter all that much due to its boredom, she might not actually be a fairy who springs forth from winter. Since they spring forth from nature, they do not leave children, as it would be unnecessary in the first place. However, with the introduction of lampads with Clownpiece, there are now also a species of fairies that can be said to be born from other beings, and ZUN also confirmed the idea of lampads in the Strange Creators of Outer World interview. Their height is uniformly small, where they can fit in the palm of a hand, up to the size of a child below ten years of age; there is hardly any fairy outside of this scope. This was said in Perfect Memento in Strict Sense, which is not reliable due to requests from the youkai to change how strong they seem, but due to the number of fairies and their range from the Human Village, it's likely that there'd be no reason to write lies in relation to fairies. However, since it was written that there are merely "hardly any" fairies outside of the scope, that still leaves open the possibility of exceptions. In reality, girls of 9 years of age have the average height of around 130cm, so a fairies size goes from being in palm of a hand to around 130cm. As for whether there would be an exception to being bigger than this, it is a mystery since there is much conflicting information regarding their size. Since they a characteristic of become stronger or weaker depending on their surroundings, they might possibly also change their size due to their surroundings as well, although that's just speculation. In chapter 8 of Strange and Bright Nature Deity, Sakuya Izayoi intended to capture Lily White in a bottle. If this is not a misunderstanding, then Lily White would be extremely small. However, it is somewhat of a question as for whether this actually did happen since there were not many scenes in the manga where her size could be compared to surrounding objects, so it is a mystery if Lily White really is tiny. However, she was seen at normal size in chapter 9 of Silent Sinner in Blue, Perfect Cherry Blossom and Phantasmagoria of Flower View. In the manga, the Three Fairies of Light were shorter than Marisa Kirisame. Marisa's size is "fairly short", while Cirno's size is "short", where other characters in the same category are Remilia Scarlet, Lyrica Prismriver, Chen, Rumia and Flandre Scarlet. I Due to this, and also due to scenes where Cirno and the three fairies played or performed pranks together, where there is not much of a difference in height to be seen between them, they are probably around the same height as the aforementioned characters as well. Also in Touhou Hisoutensoku, when comparing Cirno against Remilia, their heights are very similar. However, in Shanghai Alice Correspondence Three Fairies Version Volume 2, concerning the three fairies' place of residence, it stated, "in each of their rooms, it is about one mat spacious, and on the level of 1 meter tall, and a place that is definitely not spacious enough for adult humans to enter." Due to this, it can be understood to be considerably narrow. Interpreted as it is, their height would be less than 100cm, but since in the manga, they reach the ceiling to the extent that others usually do, they're conceivably of a height even shorter than this. However, even if they live in such a small space, it was said that they lived in a large tree, but if their residence is this small, then it becomes impossible to see it as so giant of a tree, thus complicating the issue of their size and residence. There was one time when Cirno went into the three fairies' residence, but it was extremely confined. However, since the size of the room became clear; there are interpretations that they might become smaller upon entering their residence. The world's largest tree is a giant sequoia that's around 11.1m in diameter and it'd probably be difficult to create several rooms 1 mat wide and 1 meter tall. There's a sense that it'd be impossible consider it a place to live for humans, and for fairies to live there would be a plus to the tree, as it's been confirmed that living there has an effect of promoting its growth, but even considering this, it still seems inconceivable that no damage would be dealt to the tree by physically removing a great amount of space from the middle of the tree, as in the case for flowers, there'd be the possibility of inflicting fatal damage even for fairies at a tiny size. However, one thing to be noted is that when the three fairies change residence, they diligently move all their belongings, but it doesn't seem like they do large-scale work even if the tree was split in two by lightning. This leads to several logical conclusions, such as the possibility that their place of residence is like another dimension, and thus the size of the tree could be smaller than their residence, or that the fairies become smaller when they enter. Of course, they may actually truly be that small. Since they exist only in the bounds that the nature they spring from be preserved, they're immortal in some sense. It's unknown if they have everlasting youth, but there hasn't been a depiction where any have been depicted to have aged appearance-wise. In the afterword for Strange and Bright Nature Deity Vol. 1, it stated, "minors are prohibited from drinking sake, but since fairies are long-lived, in order not to misunderstand..." and if this is to be followed, then the Three Fairies of Light would be at least 20 years of age (NB: the drinking age in Japan is 20). 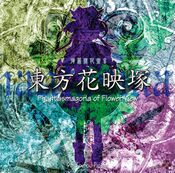 In Phantasmagoria of Flower View, Cirno said, "It's the festival that happens once every sixty years!" and if Cirno did experience the previous cycle's incident, then Cirno would've lived for at least 60 years. However, fairies aren't undying, as it's been made clear that there's a condition that's like death, mentioned in Strange in Bright Nature Deity as "going out of commission" (一回休み), and the fact that Komachi Onozuka states fairies have got no life span, being similar to phantoms. The reasons for death aren't different at all from that of a human, and for example, at New Year's Eve, there was a conversation at the Hakurei Shrine where Star Sapphire said, "I heard the humans have a custom where they'll get drunk and fall asleep and freeze to death in the snow," to which Sunny Milk responded, "Haha, how peaceful. We'd only be dead until sunrise, though." Since this was said on New Year's Eve, in the understanding of the Three Fairies of Light, it seems like they'd recover in a night, but also it seems like this speed would be different depending on the circumstances. 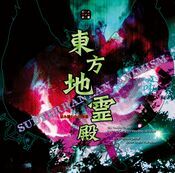 In Subterranean Animism, the Zombie Fairies were merely pretending to be zombies, but in the game itself, they became half-transparent and stopped, and recovered a few seconds later. However it is conceived, they recovered instantly. A possibility is that this is convenient for gameplay, or that they might just be fairies that recovered extremely fast. Even when speaking of a "finished off" state, since it's an incident occurring within the spell card rules, it can be conceived that they don't die at all, and that to "go out of commission" is something different from death. This somewhat resembles the debate as for whether Fujiwara no Mokou actually dies when she uses "resurrection" (die and immediately recover) or if it is simply a performance in spell card battles. It's been said that in battles under the spell card rules, death does occur due to accidents, but this is probably not something that would occur frequently. Fairies live pretty much everywhere, be it in Gensokyo, the Underworld, Makai and even in Hell or on the Moon. Since they receive the influence of the surrounding nature in their environment, they have delicate differences in strength and appearance. The Three Fairies of Light had a residence in the Forest of Magic, and later moved into a tree near the Hakurei Shrine. Cirno also has a residence close to the Misty Lake that is somewhat like an igloo. Other fairies also have similar dwellings, but it may take up a great amount of space considering their numbers. As Marisa Kirisame said, "they mostly cleverly hide themselves in nature, like inside flowers or in the soil". Like in the case of the tree used as residence by the Three Fairies of Light, which has apparently visible features like windows, it seems humans would generally not notice a fairy's dwelling, as to them it would look like an ordinary tree. Reimu Hakurei didn't notice their dwelling despite being near it several times. As an exception, when Marisa was called over for incident resolution regarding the Three Fairies of Light, she was able to recognize their residence. However, she wasn't seen entering it. There were also cases when the fairies themselves invited others over, but it's unclear what can be confirmed about the kind of place they live in. 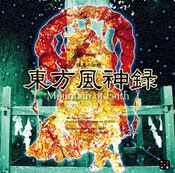 For the tree that Reimu didn't notice as a dwelling, there was a time when Yukari Yakumo saw through that they lived there. In the same way, the Three Fairies of Light were able to discover Cirno's residence, and destroyed it, which lead to the events of Fairy Wars. The size of their residence is a mystery (refer to the "Size and height mystery section"). Since there was a scene in Touhou Sangetsusei where Reimu and the Three Fairies of Light faced each other through a window, since it at least can't be seen that the window and the Three Fairies became smaller, it may just be like another dimension. However, it can't be confirmed that a window was outside. There are also fairies who live in human-made residences for humans to live in, such as the Fairy Maids living in the Scarlet Devil Mansion. There was also the fairy of rainy season who lived in the attic of Kourindou. It's unknown if fairies live in the Human Village, but concerning fairies, whose purpose of existence is to perform mischief to humans, it can be considered that there aren't many cases of those who live close to humans. Perhaps to perform mischief, they frequently appear in the Human Village. That's the reason why they can be caught, for venting anger on them, which Hieda no Akyuu also recommended. 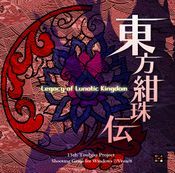 Prior to the events of Legacy of Lunatic Kingdom, Junko and Hecatia Lapislazuli imported several fairies from Hell to the Moon, but it's stated by Clownpiece that fairies already lived there even before.Legacy of Lunatic Kingdom: Reisen's Scenario</ref>. This is supported by Clownpiece's game profile stating that there are almost no fairies on the Moon, implying there must be at least some of them. According to Sanae Kochiya, the presence of fairies, which are considered incarnations of nature, caused an atmosphere to be created, making it possible to breath and talk. It's unknown if fairies still live here after the events of Legacy of Lunatic Kingdom. According to Perfect Memento in Strict Sense, fairies do not require food to stay alive, and there's only been cases of fairies eating food because they seemed delicious. However, they do have taste, and they like food that human children like. Luna Child is an exception for liking coffee. Coffee was too bitter for Cirno to drink. Also, they drink alcohol and do get drunk. It also commented that Fairy Maids receive no wage, but are instead given food, tea and freedom. There are many depictions of Fairy Maids drinking tea. There was a scene in Touhou Sangetsusei where a fairy changed clothing, and in all scenes so far, they change into clothes of the same design as before. There was also a scene where the Three Fairies of Light stole some maid clothing from the Scarlet Devil Mansion. Many fairies see playing mischief on humans as their purpose in life. In Touhou Sangetsusei, they often steal and pick up ingredients and tools, like coffee. The Kourindou has also been a victim to this before. They appear to be disliked by humans. Cirno is well-known for freezing frogs. Also, there was a scene where she played hide-and-seek with Daiyousei. They also go went on a "trial of guts" at the Hakurei Shrine where the three fairies of light and youkai participated. Fairies often play with each other and other species. According to Sakuya Izayoi, Fairy maids are rarely of any use in the Scarlet Devil Mansion, and are unsuited towards performing complex tasks, relating to how fairies are not very smart. Since fairies maids do at least exist, it means they are at least able to do some tasks a maid can. They have been confirmed to wash clothes, cook and play musical instruments. Thus, despite not being smart, they can still perform a variety of tasks. Fairies are weak. They often appear as generic, weak stage enemies alongside phantoms and flying yin-yang, and often appear in game just for the sake of being defeated. Unlike spirits, though, most fairies can speak, according to one of ZUN's e-mails. Daiyousei is an exception for having a greater amount of power among the fairies. When the Three Fairies of Light, who are considered stronger among the fairies, together fought Yukari Yakumo, they were unable to inflict any damage and were called "very weak". In Perfect Memento in Strict Sense, the fairies Cirno and Sunny Milk were evaluated with danger level "low". Hieda no Akyuu wrote that it is safe to even go and take revenge for their mischief by capturing them. However, Cirno and Lily White are comparatively strong, so they can be dangerous to the ordinary human. Sometimes they play "pranks that go too far", like making humans fall from cliffs, and that would be a dangerous aspect of them. Thus, Akyuu recommended to take caution in places where a fairy might be there. Sunny Milk once said that Lily White was dangerous and one must not get close to her. According to Akyuu, Cirno is one of the stronger of the fairies, and since she is used to battle, Cirno has the upper hand even if she goes against all Three Fairies of Light at the same time, as shown in Fairy Wars. Among the fairies, she also has a greater tendency to fight, which makes her more dangerous than normal fairies. According to Eiki Shiki, Yamaxanadu, Cirno has quite a bit of power despite being a fairy. In Touhou Sangetsusei, the Three Fairies of Light have had their power levels remain constant throughout. Daiyousei was remarked to be "one with power among the fairies". Thus, to normal fairies, she has more power than the average one, but not enough to match Cirno's level. The fairies appear very powerful in Fairy Wars, but it was in Cirno's perspective, and she is just capable to stand against Marisa Kirisame, a powerful human. Clownpiece is an exceptionally powerful fairy, the strongest that has appeared so far and that even Hecatia Lapislazuli considers to be quite strong, who is capable of fighting against other strong characters such as Reimu Hakurei and Marisa. Lily White has been depicted to speak more than "spring is here." In fact, all fairies are able to speak, according to one of ZUN's e-mails. However, it has been remarked that they would not understand more difficult talk. Perfect Memento in Strict Sense mentioned that when one encounters a relatively more dangerous fairy like Cirno, one could get away by confusing them with a riddle. Sunny Milk writes kanji in Touhou Sangetsusei. Cirno writes everything in hiragana, but she sometimes makes mistakes. According to Bohemian Archive in Japanese Red, Cirno reads the Bunbunmaru Newspaper, meaning she is able to at least understand the kinds of opinion pieces written in them. Also, in Hisoutensoku, she begs for Aya Shameimaru to write more about her, indicating that she takes at least somewhat of an interest in it. Luna Child also likes to read the Bunbunmaru Newspaper. When there's something she doesn't know, namely about family altars, she goes to do research by reading about it in books, and it appears that she understands it at least somewhat. Fairy Maids and Star Sapphire cook. The things Star cooked appear to require the usage of fire, pans, and knives. Sunny Milk and Luna Child ran a successful food stall, meaning they are also capable of a good level of cooking. In the spring, Cirno remembered the Three Fairies of Light declaring war back in winter. However, she forgot about it until spring arrived. Luna said that the event where they destroyed Cirno's house was "something that happened way back," which could indicate bad memory or mean that they have a greater sense of time passing than that of a humans. 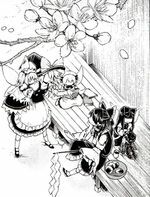 In Touhou Sangetsusei, the Three Fairies of Light were seen running a stall at the Hakurei Shrine. Sunny was selling Oden; Luna was selling alcohol, fuuki miso, yakitori and pig legs; and Star was selling yoyotsuri, and they looked like they were a success, but nobody bought the out-of-season shaved ice (mizuaji) from Cirno. Cirno also didn't know why nobody bought it. Thus, fairies are at least able to understand how running a business works, and able to perform the tasks that are require to prepare and run it. Since they don't require food, and live within nature, they generally have no need for money. Fairies steal things as a prank, but they've said that they never steal money. The three fairies have visited the Myouren Temple without needing to disguise themselves, indicating that despite their mischief, there is no overt hatred against them. Despite not needing money to live, some fairies like Cirno or the Three Fairies of Light might decide to start businnesses such as food stalls, presumably to earn money. The latter were apparently quite successful in their intent. Attention: This section is under construction. The editors are doing their best and are now preparing to finish the section. Please watch warmly until it is ready. The fairy's first appearance as a general emery was in Stage 1 of Lotus Land Story. 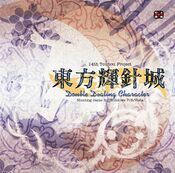 They had blonde hair, a red dress and blue wings (although ZUN likely meant them to be transparent due to limitation in 16-color graphics). They only appeared once in a small group, scrolling down the screen not shooting bullets. However, if playing on lunatic, they'll shoot a few bullets. On stages 4 and 5, there appear to be humanoid-like enemies that appear, although it doesn't confirm that they're fairies due to not having wings; they're likely to be youkai though. 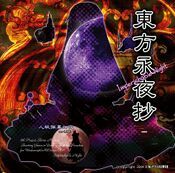 During the Makai route ending of Highly Responsive to Prayers, the Yin-Yang Orb turned into what appears to be a fairy. On stage 4 and the Extra stage of Mystic Square, there were humanoids enemies with blond hair and a white dress that had wings; because of these wings and the fact they appeared in Makai, it can't be definite whether they are fairies or demons. Rengeteki may also be a fairy, who appears as the midboss of stage 4 and 3 of Lotus Land Story and Mystic Square respectively. They first appeared on stage 1, as well as on stage 2, coming down the screen in great numbers and in a line. On stage 3, they were mixed in with Fairy Maids, where on stage 4 and onwards, only Fairy Maids were shown. The stage 2 midboss and boss of the game are also fairies, them being Daiyousei and Cirno respectively. 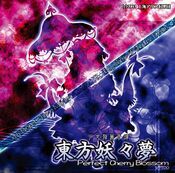 The fairies once again appeared as general enemies in Perfect Cherry Blossom throughout the game. A new feature is that a number of fairies have a magic circle around them, which indicates that they're stronger fairies that'll shoot more danmaku and that they're non-trivial to defeat. On stage 4 and onward, there appears to be fairies that are re-used from the previous game, being identical to the Fairy Maids, although they can be presumed not to be fairy maids due to not being a the Scarlet Devil Mansion and the fact Sakuya Izayoi can take them down, knowing that she wouldn't attack her own staff. On stage 2, they'll first appear in transparent orbs, then after a while of waiting, they'll pop out and immediately shoot danmaku. On stages 5 and 6, they appear to have some kind of ghost theme amongst them because each fairies' entrance on the screen start with spiritual-like material flowing through the screen, then appearing as normal. When defeated, they'll return into their spiritual dwellings and move off the screen. Fairies again make an appearance in Imperishable Night. There are four different coloured fairies that appear over all: blonde hair with a blue dress (stage 1, 3, 4); blonde hair with a red dress; brown hair with a green dress (stage 2); and blue hair with a yellow dress. There are also another version of these fairies in exact appearance with an hat, where they're shown to be more stronger and non-trivial to take care of; they may also have a magic circle around them. Red dress ones appear on stages 2, 3 and 4, green ones appear on stages 1, 3 and 4; and yellow ones appear on stage 3. On stage 5 onward, there are another version that has rabbit ears, along with wearing-hat versions. Whether these meant to be rabbits is unknown. Blue dress ones appear on stage 5. With hat versions, while blue are on Extra stage, red ones are on stage 5, 6 and Extra, green ones are on stage 5 and 6; and yellow ones are on stage 5. Fairies are yet again the common enemy in Phantasmagoria of Flower View, being the primary targets in the game. However, they don't shoot bullets, are extremely easy to destroy by shooting bullets and come in infinity numbers, making Reimu Hakurei wonder why there are so many fairies. There are four types of fairies; blue dressed with blonde hair holding a leaf, red dressed with silver hair holding what appears to be a white dandelion with somewhat bigger wings, green dressed with brown hair holding some sunflowers with fairly big wings, and white dressed with blue hair holding two big sunflowers with large wings. The latter is known as the Sunflower Fairy and this is their first appearance in the games, along with the former being standardized throughout the rest of the games. Additionally, a fairy named Cirno appeared as a playable character. The fairies come in from the edges of the screen or from the top. Once a fairy is hit, it's defeated, leaving an explosive impact for objects around them (although this does not hurt the player). Shooting one of the fairies in a row usually causes a chain reaction along the entire row. There is one particular fairy that isn't non-trivial to deal with – that being Lily White. She'll randomly appear on the screen if a fight has gone on for a long time, appearing on both players' fields simultaneously. She will release a large number of large and white bullets before she leaves, which even ZUN says it's "annoying". An EX Attacks appears if she's defeated and she can re-appear. On the stages for Reimu Hakurei, Marisa Kirisame, Reisen Udongein Inaba and Tewi Inaba's, the fairies have rabbit ears, possibly making a reference to Reisen and Tewi, or being in the Bamboo Forest of the Lost. On Eiki Shiki, Yamaxanadu's stage, the fairies (along with Lily White) are seen dressing like Eiki. ZUN has stated in a Livestream that the fairies and Lily are simply cosplaying as the yama herself. Fairies again make an appearance in Mountain of Faith, shooting danmaku at the player. The game re-uses the blue dressed, blonde hair fairies from the previous game, where they were given three extra colors; red dress with yellow hair, green dress with pink hair, and yellow dress with silver hair. There are also another version of these fairies in exact appearance, but they also with a grey hat with horns and that they wield a sword. These types first appeared on stage 3, and re-appeared on stage 4, 5, 6 and Extra. On stage 4, the fairies will hide behind The Waterfall of Nine Heavens and pop out randomly, shooting danmaku. Fairies again make an appearance in Subterranean Animism, shooting danmaku at the player and re-using sprites from the previous game. Fairies don't appear on stages 5 and 6, that being in the Remains of Blazing Hell. However, during Rin Kaenbyou boss fight, she'll summon fairies before her first spell card Cursed Sprite "Zombie Fairy", where if they're defeated, they'll give the appearance of being dead with a halo. When the spell card starts, they'll turn into Zombie Fairies. They're not dead nor are they zombies, they're just acting as though they are. Rin will regularly use the Zombie Fairies during her boss fight. It should be noted that only the red dress, blonde hair fairies are used in the game, where the other colored sprites of fairies weren't used. 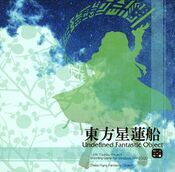 Fairies yet again re-appeared in Undefined Fantastic Object, shooting danmaku at the player and re-using sprites from the previous game. On stages 5 and 6, the fairies have a unique colour that blends them in with Makai. One type is pure purple, while the other three types have a black dress, with each other three have pink hair, blue hair and blonde hair. The latter two have scarlet wings, while the former has purple wings. On stage 6, the fairies travel down in a similar fashion to the Invaders of the Space Invaders series, creating an obvious reference in gameplay. They'll shoot bullets downwards and move from left to right and back again, slowly coming downwards. Also, Nue Houjuu used these fairies during her stage 6 appearance. On stage 4, she used fairies that appear to be a ghost of some sort, wearing an hitaikakushi. It's unknown if these relate to the Zombie Fairies. As always, fairies again appeared on Ten Desires and Double Dealing Character, shooting danmaku at the player and re-using sprites from the previous game. These re-use the larger fairies seen in FW and PoFV and no Makai-types appeared. 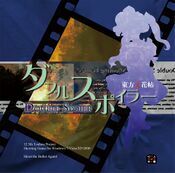 Following the tradition, fairies appeared again as common stage enemies in Legacy of Lunatic Kingdom‎, shooting danmaku at the player and re-using sprites from the previous game. On stages 3, 5 and the Extra Stage, only Makai-types appear. 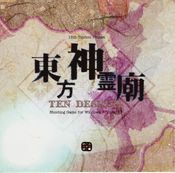 Stage 3 and the Extra takes place in the Dream World, and although the fairies shouldn't able to access this place physically, ZUN does state in the music comments that these are "just things in each dream," but are still mischievous of them to spread barrages of danmaku despite being in a dream. They're primarily the only stage enemy on Stage 5 as the heroine flies over the Sea of Tranquility on the Moon, and the boss of the stage who is a fairy from Hell is Clownpiece. They were seen on the Moon because, under Hecatia Lapislazuli's orders, Clownpiece sent the fairies from Hell to Sea of Tranquility in order to threaten the Lunar Capital. They were all, however, defeated. Despite the rare occurrence of enemies in Double Spoiler, zombie fairies make a re-appearance in the game, supporting Rin Kaenbyou. 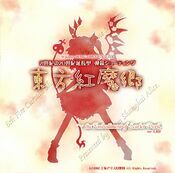 Fairies are the main focused theme and prime species in Fairy Wars, where it's Cirno (the protagonist) versus the Three Mischievous Fairies (the antagonists), along with Daiyousei and Lily White being midbosses and the Sunflower Fairies with regular fairies being the only enemies to appear in the game. The three fairies destroyed Cirno's home at the Misty Lake, so she takes revenge by declaring war on them. To get to them, Cirno must fight various fairies on her paths towards her target. She can use her new freezing ability to freeze danmaku. She cannot freeze fire bullets, which is a new bullet feature the fairy enemies use. As usual on the Extra stage, the fairies are brutal with their danmaku. Sprites from previous games are used for the different types of fairies, including two that were last seen in Phantasmagoria of Flower View (Shown to the right). First type has silver hair while the next type has light brown hair. They both come in their own two pair; the first types having a blue dress and a red dress while the second types have a light brown dress and an aqua dress. These fairies are not trivial to deal with, but Cirno's ability can defeat them quicker. Also, the Makai sprites of the fairies are re-used from Undefined Fantastic Object. From the looks are these fairies, it appears that ZUN tried to include as many fairies as possible that've appeared in the games, except for pre-PoFV ones. On Chapter 9 of Curiosities of Lotus Asia, there were "fairies of rainy season" (梅霖の妖精), who make rain fall around their surroundings. They settled down around Kourindou but ran away due to Reimu Hakurei's threats. On Chapter 12, there was a "fairy from the forest" (森の妖精), who does not seem to do such dangerous play as making icicles fall. 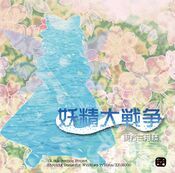 The Touhou Sangetsusei series is centered around the Three Fairies of Light which shows their daily life in Gensokyo. Cirno also makes re-occurring appearances in the series, as well as Lily White and Daiyousei having a cameo appearance. On Chapter 21 of Strange and Bright Nature Deity, there was a "fairy who lived in the Mongolian oak" (ミズナラの木に住んでいた妖精). This fairy lived in a Mongolian Oak behind the Hakurei Shrine, but due to lightning, the fairy seemed to have gone out of commission. On Chapter 9, there were "rain fairies" (雨の妖精) who make rain fall. They are said to be active from the morning on hot days. This page was last edited on 21 March 2019, at 23:54.